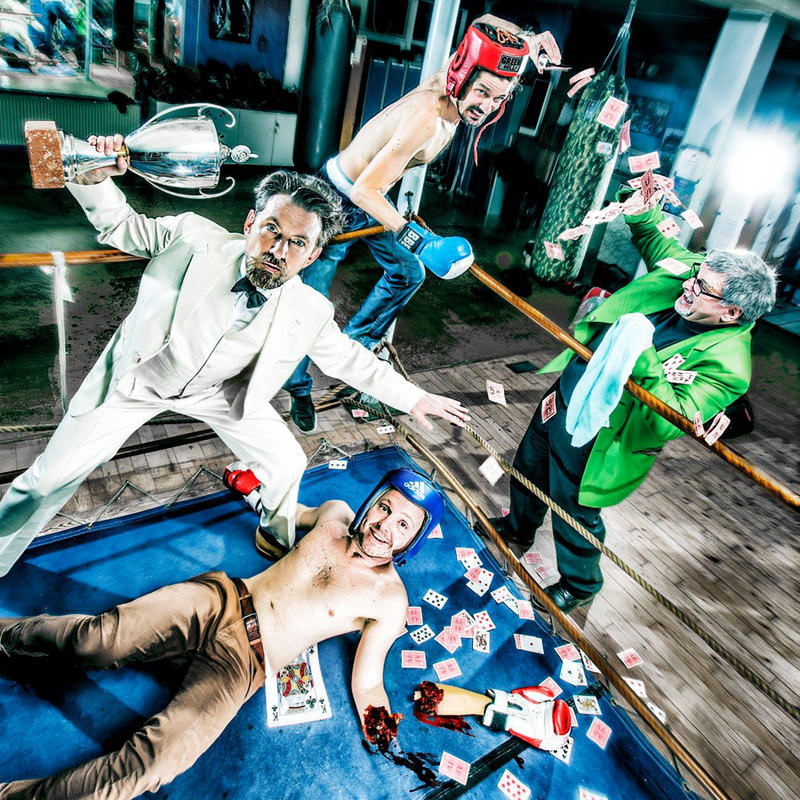 If you are 12 years old ..
For the third consecutive year, Theater Republique is transformed into a hard-hitting battle scene for the very best magicians in Denmark in the beginning of August. On the pitch are Rune Klan, Klaus Mulbjerg, Joachim Solberg and Mikkel Gundersen, giving each other a fight to the finish when they battle who has the coolest trick up the sleeve. Mads Wille is the host who, together with his house-heavy metal-band Junta, keeps track of everything and ensures that the audience creates a cozy atmosphere. MAGIC FIGHT NIGHT gives you world-class magic and, as a public, you help decide who’s best. With the yealing and many applause it’s you who decide the battle time and decide which tricks are the wildest, coolest and funniest. And finally, it’s also you who decides which magician will win the cup.